Black cotton spandex hi-low pullover with slash details and faux hood. 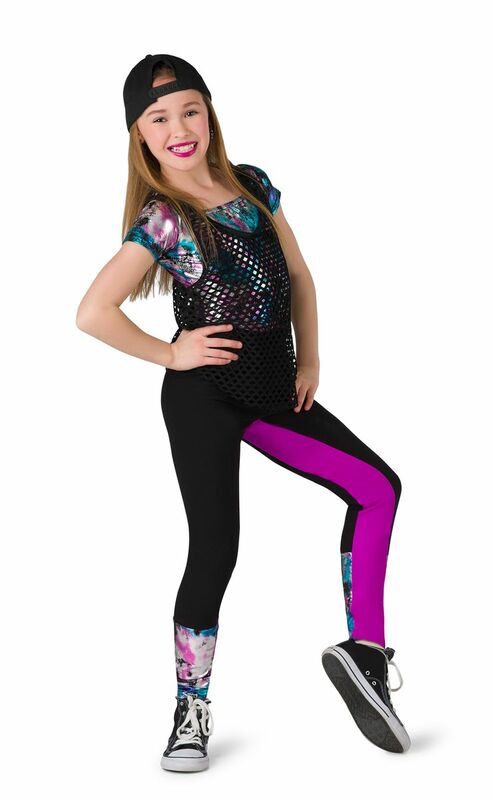 Separate graphic print spandex legging with mesh inset. Made in the USA.